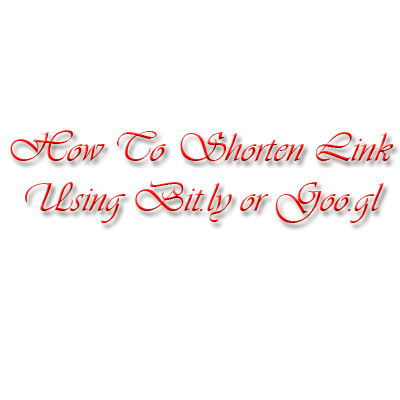 You’ve shown the links covered with bit.ly and goo.gl. What’s the use of this ? First that if your link is too long then it’ll short it and can give custom name. Also you can check that how many people clicked it? From where it has been clicked? Is it clicked direct or any refferal. Thus this is very helpful for the bloggers. How to shorten my link? # Go to bit.ly or goo.gl. # Sign in with your account details. # Then a page will open then paste your url to that box. # Photo describes the steps. # Also you can edit the last characters like if shorten link will be bit.ly/bezrt1 then you can customize it @ bit.ly/sampleforme. # Then copy your code and use it. # Paste your link to that box to shorten. # See all the details described in image. # You can also hide the link(s) with checking it and after click hide button. # So the stats will located in this way. # Now you have done. # So both are helpful. Have any queries related to this article? Just comment(no-spammy) or contact us.